Over the Fall, Philadelphia hosted a public exhibition by Cai Guo-Qiang, titled 'Fireflies'. 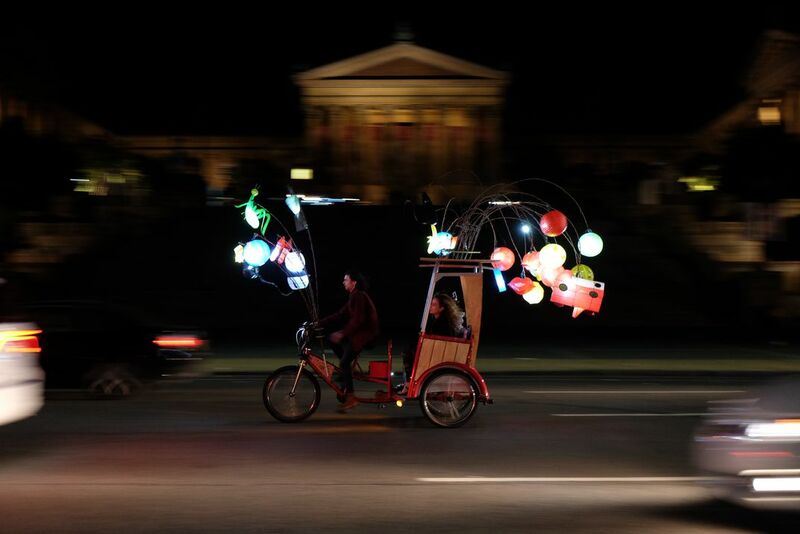 Pedicabs with brightly colored lanterns rode around the Museum district in Philadelphia. This shot, is directly in front of the Philadelphia Museum of Art. Date Uploaded: Nov. 29, 2017, 7:57 p.m.